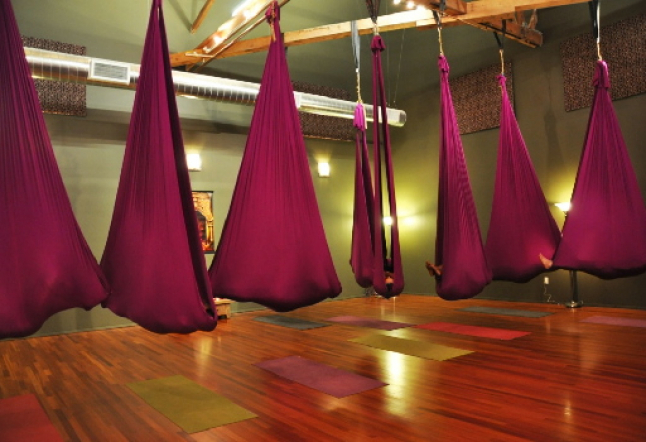 When you walk into the studio at Shakti House, the first thing you’ll notice are the hot pink cocoons hanging from the ceiling. Yes, this is a studio that likes to bring yoga off the ground. 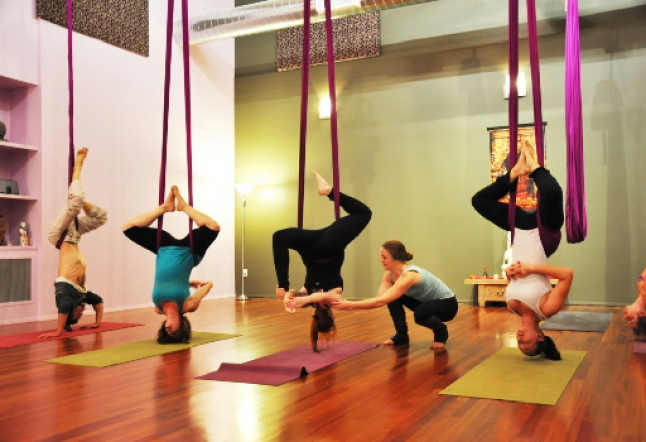 Shakti House has a variety of class offerings but specializes in aerial and acrobatic. For those who like to stay grounded, they also offer kundalini, restorative, and yin classes, as well as a couple of weekly yoga nidra sessions. On the kundalini side of things, devoted yogis can come to sadhana five mornings a week, from 4 to 6:30 AM. These sessions consist of chanting with a recording followed by a kriya yoga practice, and ending with more chanting and meditation. Kundalini teacher Dr. Michelle Hebert leads a monthly gong meditation. Students lie in savasana as Dr. Hebert plays her huge healing gongs and other assorted instruments. 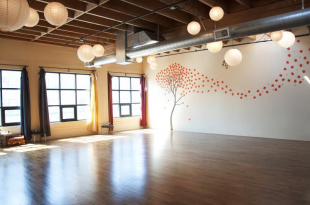 The studio has also offered kundalini chakra workshops in Spanish, a rarity for Portland. 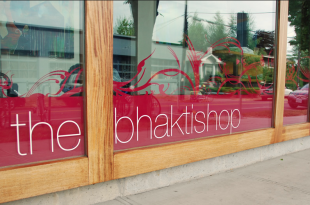 Studio owner Robin McAlpine has a background in yoga dating back to the 1970s, when she did yoga along with Lilias Folan’s TV show. Later, she worked in Sivananda ashrams before discovering Kundalini. Shakti House is located in southeast Portland, just across the river from downtown. They have car parking, bike parking and are located right on the number 15 bus line. With more than 30 weekly classes to choose from, every yogi will find a class to fall in love with.